Zoo Knoxville has a new exhibit called “Asian Trek”. There are two male tigers and one female tiger, plenty of Asian decor, and a family of white-naped cranes (with a baby!). 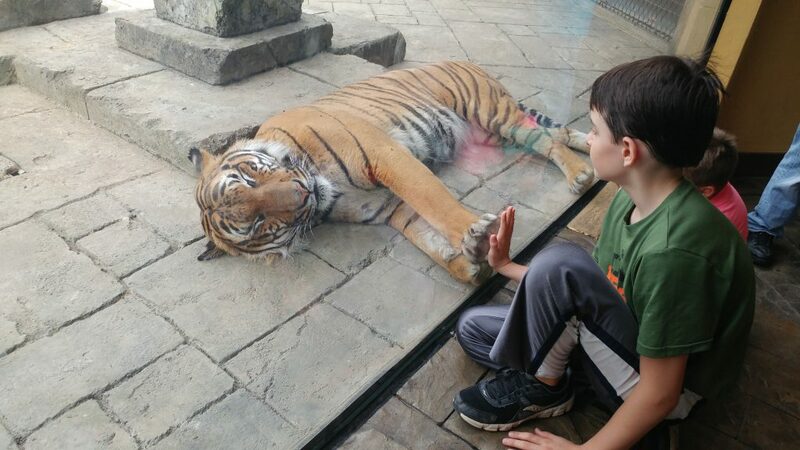 They kids saw the billboards on I-40 several months ago, advertising the tiger exhibit, so they have wanted to go for some time.